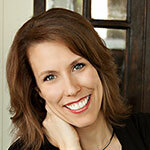 Misty Lown is the founder, president and energized force behind More Than Just Great Dancing®. Her own professional accomplishments in giving back to the community are on a scale seldom seen by small businesses owners. A large part of Misty’s sky-high energy level is rooted in grassroots charitable giving. Her studio, Misty’s Dance Unlimited, founded in 1998 and named a “Top 50 Studios in the Nation” by Dance Spirit Magazine, has provided over $200,000 in combined cash and studio scholarships for young women and recently founded the A Chance to Dance Foundation, a 501(c)3 charitable organization. She coordinated the popular “Dancing with the La Crosse Stars” event, which raised $400,000 for the local American Red Cross. Misty’s Dance Unlimited is frequently recognized as one of the best in the dance studio industry. Her Performance Companies have performed at the Macy’s Thanksgiving Day Parade in New York, on Carnival Cruise Lines, and at Walt Disney World. Misty has been a guest speaker at the DanceLife Conference, PULSE Teachers Convention, Hollywood Connection, Dance Teacher Summit, and Dance Web. Misty is also is on the staff of Dance Revolution Convention, and has authored over 30 articles for Dance Studio Life Magazine. She is a sought after speaker and teacher through her professional development company MistyLown.com. Misty shares her methods of creating a professional environment where people learn and grow from the life experiences lived in the dance studio. Misty’s staff of 22 professionals are taught how to work professionally with parents and students–offering an experience where dance is the vehicle by which ever greater life lessons are taught daily. People that Misty touches are elevated by the life experiences she teaches and shares during the journey. Sharing information, providing helpful observations, and giving feedback to parents, teachers and students is an essential part of the learning process that Misty delivers with More Than Just Great Dancing®. Misty recently share her business methods as a guest blogger on SUCCESS.com. Misty started dancing as a child and went on to study dance in New York, Los Angeles and London, attending summer school at Harvard, Colorado College, and earning a Masters of Education degree from the University of Wisconsin – La Crosse. She has been recognized as “Dance Teacher of the Year” by Eclipse Studio Dance, “Outstanding Businesswoman of the Year” by the local YWCA, and with the “Philanthropy Award” from the local Red Cross, and the Certificate of Appreciation from the United States Army Garrison. Misty keeps it fun for all involved in her programs. Year after year at competitions around the country her studio often is recognized with the “Sportsmanship Award” from competition directors who recognize the professional way in which Misty’s group presents themselves at events, on stage, and maybe more importantly, off stage. It is a difference that people notice and recognize. And it is a difference that More Than Just Great Dancing® will bring to your dance studio. Misty’s favorite part of the day is spending time with her husband, Mitch and their beautiful children: Isabella, Mason, Sam, Max, and Benjamin.